If you have not done so already, you need to purchase an account using a PO or Credit Card. Next you are going to need a list of student voters that will need to get uploaded. 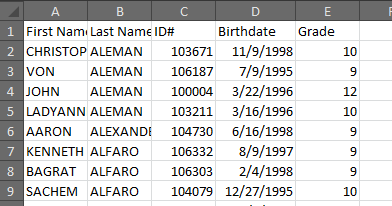 We accept Excel or CSV files. They field can be in any order, you can align them in the application. 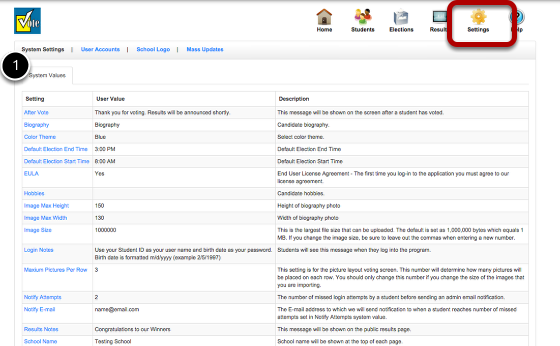 Go to Students > Upload Students and click (+ File) to upload your student file. Go to Elections > Add Election and fill out the form. 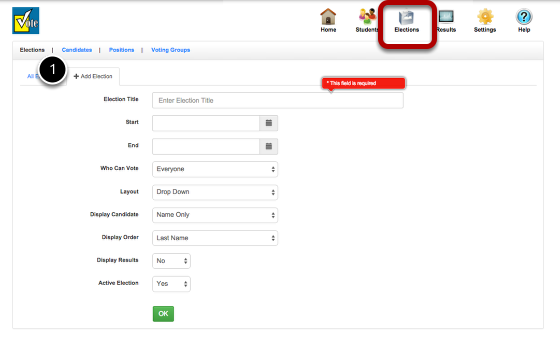 You can then add your candidates and your students are ready to vote.